Alberto Velázquez (dcvertice) added a comment to D4680: Move topbar to 3D viewport editor. In reality I only ask or support to invert the positions of editor type and object interaction mode. Interaction mode in the Tool Header and Editor Type in menu header. @Alberto Velázquez (dcvertice) , I probably misread your comment. But try to redo your mockup with 3D Cursor using an orientation set to View. And tell me that is not confusing to have 2 orientation that have nothing in common next to each other. Mixing things just because these buttons are the ones you use the most, does not make an UI simple to apprehend. 2.80 has now a setting per line with things ordered into subpanels in panels. But Topbar would be a mess of things that are not affecting same tools. Yes. And how many default screens are hiding things to new user since that time ? none. You said that proposal is fine. I disagree. To get rid of such topbar, user have to know lots of shortcuts for orientation snapping, mode switching but enougho to ignore active tools. It will not close it. To get rid of header, he needs to know what is into menus. So customizing such proposal is just available to intermediate and advanced users. On the other hand, keeping topbar just for active tool (as it was until now), allows fresh users that began under 2.79b to ignore active tools. The good thing about the original proposal is that it is not necessary to have the header of the area (the one that has the menu, shading, overlays, ... ) That are not something that the user is constantly using. 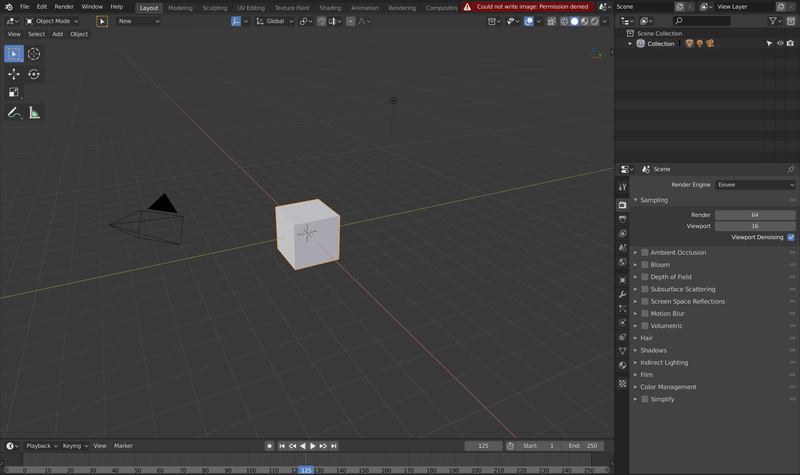 A new user discovering Blender will need everything (menus and popovers). You already mention the problem of mode that could be hidden if active tool is hidden. The same way, there is a potential problem of confusion between active tool gizmo orientation (it was move to popover for object gizmos but problem persists for 3D Cursor) and orientation of 3D View that will be used by operators called by a shortcut. The order of the controls of the proposal should be kept, because mixing the tools with the old header forces to have both header in the viewer always. All this was taken into account when developing the proposal. It does make sense to move the tool parameters below the menu bar, but for tools with lots of parameters like Sculpt and GPencil these all still feel cluttered. I think putting the Active Tools Settings panel from the Properties editor into some manner of (floating popup?) panel similar to @Alberto Velázquez (dcvertice)'s mockup makes the most sense. My Sculpt and GPencil workspaces look like this, and I often have to inelegantly slide the area nearly closed to make more canvas space. 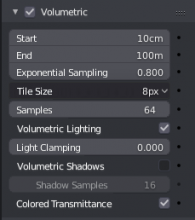 Still doesn't solve the case where in edit mode tool settings don't really have enough space. Also not grease pencil. Alberto Velázquez (dcvertice) added a comment to T57210: Create Object Tools Todo. Alberto Velázquez (dcvertice) added a comment to T54582: 2.8 UI Tools: Tools Design. Don't waste your time. UI team have ignored all feedback in blender 2.8. Alberto Velázquez (dcvertice) added a comment to T55162: Blender 2.8 Blender Keymap changes. Alberto Velázquez (dcvertice) added a comment to T54951: Properties Editor Design. I think that it's better hide the - until user focus on an element. Because a list of - appear more other type of symbol instead a remove symbol. while a deselect hotkey can be useful, removing the utility of A doing both is a mistake for users who are not going to know that A is capable of doing both and are not going to look for that option. In addition to forcing all former users to retouch the hotkey (this and a hundred other hotkeys) to work as traditional Blender. In macOS/OSX ⌘ is used like CTRL, SUPER/WINDOWS key doesn't have a lot of uses in windows except for OS shorcuts. But ⌘ is a basic key for anything in macOS and normally is the key that you use for all shorcuts, for example copy&paste is ⌘+C and ⌘+V. Because in macOS you have CTRL but no one uses it in the believe that is hard to use instead the ⌘, something that I think that it's true. I think that both F3 and the accent is an absolutely hidden shorcut for new users, never in my life I would think of using both of them not for search, but simply for any hotkey, since this is not an FPS that is where that hotkey makes sense. It's hard to think that any user will use taht shortcuts to find something. I want to remember that in a lot of laptops and almost all apple computers F3 is a really hidden hotkey because you need to press Fn and F3 to have access to F3. Nobody uses this F1-F12 shorcuts because it's a PITA. It's at least 10% of the potential users (20% in USA). Also that few people use F3 to search, it's a common shorcut for really expert users (coders mainly). The mayority of people uses Ctrl+letter (in windows the letter depend of the language of operating system in spain is B, for example). From the start, 2.8 was designed to eschew Wireframe mode as a necessary feature to work in 3D. That's why we've replaced the Z key to enable see-through X-ray mode instead. Alberto Velázquez (dcvertice) added a comment to T55215: Corrupt mesh after sculpting with dyntopo. I continued working with soc-2017-normal-tools branch and I saw the problem two more times, so I can confirm the bug in the branch. By my work I only use this branch and the error happens one time each ¿4-5 hours? of work. So it's not easy to reproduce. I will try next time that I do a sculpt with dyntopo to use the master branch. Alberto Velázquez (dcvertice) renamed T55215: Corrupt mesh after sculpting with dyntopo from Corrupt mesh after sculpting to Corrupt mesh after sculpting with dyntopo. Alberto Velázquez (dcvertice) created T55215: Corrupt mesh after sculpting with dyntopo. Alberto Velázquez (dcvertice) added a comment to T54908: Workbench UX design. I only see that problems like a feature, If I see the facedot like in that images is because I'm doing something wrong, so it warns when your ngon is not correct for some reason and normally I use facedots like references when I move meshes and I don't need a lot of precision "¿Oh, my cursor is in the same position that the facedot? then I put the cursor correctly". And this happens all days a lot of times. Like incorrect faces that for some reason are created between two faces and don't have any area and facedots tell "hey, you have here a face that you don't want"
I'm modeler and I don't agree with this assessment at all, first of all because it's about deciding for the user and taking away features that currently help him (like select faces that you barely sees, because you select the facedot instead of click in the face) for purely aesthetic reasons. Alberto Velázquez (dcvertice) added a comment to T54963: Industry Compatible Keymap. One of the best things I saw in blender when I started using blender six-seven years ago was the search bar. You find her almost by chance, just by pressing space. In two seconds you understand its purpose. Thanks to it I had direct access to absolutely all the functions of blender at the time, completely unaware of the program, only needing to know what I wanted to look for. I learned half the program thanks to this. Is it good to remove it from its current location on a keymap for new users? it's hard for me to see it. 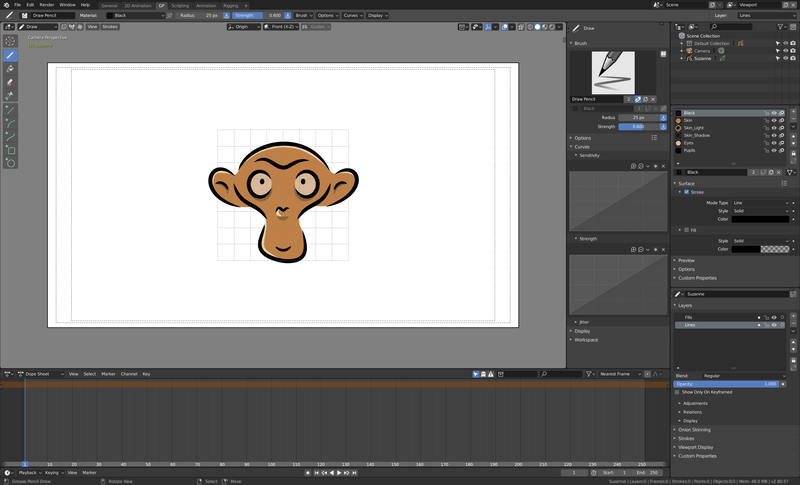 It is almost a wizard for fools, which unleashes the power of blender to any user. What you see here is nowhere near finished :) There will be lot more, and do not worry, I do not plan to leave the quick search out. It will probably be mapped on Tab key, since it's commonly used key for quick search in software that supports it (Maya uses Tab key for quick search in Node editor, and so does Nuke). Since it's not mandatory I'm not worry. But I don't see why to change something that no other program use like standard and make harder to all new users use tutorials based in default keymap. But no other software have a search function like blender and no other software use spacebar to the proposed switch mode, it's not a standard. 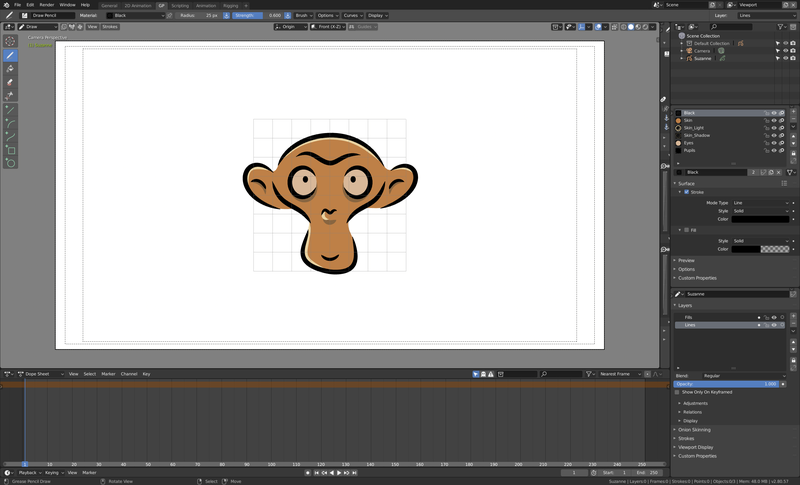 The only program that use spacebar is maya and it use that to give a lot of funtions directly to the user. And spacebar is linked to the search bar idea in a lot of assistants, for example OSX. What about a retopo mode? This means that current operators can be accessed without going through active tools? That is to say, it will not be possible to use extrusion, move, cut,... directly, like right now, pressing a hotkey without going through this system? Or it is a complement like in actual blender2.8 versions? Alberto Velázquez (dcvertice) added a comment to D2897: Normal Editing Tools - GSoC 2017. Alberto Velázquez (dcvertice) added a comment to T54503: Blender 2.8: Workbench Proposal (Draft). Alberto Velázquez (dcvertice) added a comment to T54206: bevel operator regression. That behaviour don't have any sense from user pov. Bevel tool remember a value sometimes and the user cannot know the reason why that happens (only if they read this thread). It only create frustation in new users that some time before enter the bevel value in the panel and they will keep that behaviour all the modeling sesion, hours later. Only because a few users don't want to use the F3 or repeat. This is the last time that I told, that behaviour is not correct and is not correct in any program. Alberto Velázquez (dcvertice) created T54321: User cannot select multiple curve point with stylus.. I though that It is a bug tracker, not a feature request. I have downloaded blender 2.78, 2.78a, 2.78b, 2.78c, 2.79, 2.77a, 2.76b, 2.74 from the webpage and I check it, I didn't see any option like you talk... You can download these release builds and you won't see that option. I don't go to check more builds. And I have search in google and the only mention to "remember bevel amount" is this thread. Alberto Velázquez (dcvertice) renamed T54228: Bevel operator percent mode doesn't work properly from Bevel to Bevel operator percent mode doesn't work properly. Alberto Velázquez (dcvertice) updated the task description for T54228: Bevel operator percent mode doesn't work properly. Alberto Velázquez (dcvertice) created T54228: Bevel operator percent mode doesn't work properly. I don't see the error, is the correct behaviour and the same since at least Blender 2.5. Also Bevel now is affected because remember the cuts in some builds. I need to test it and see if I must report the bug. Alberto Velázquez (dcvertice) added a comment to T53752: Draw curve fails if you stop press action before separe stylus.. If you use the default keyconfig, with left click, the bug exist and with new configuration the user cannot make shift+select. With this commit we don't have now the possibility to make a simple shift-select with the stylus. The problem changing the action to the pen is the same that using "select". You cannot do multiple selection with shift+click with tip. So, it is not a solution. Alberto Velázquez (dcvertice) created T53752: Draw curve fails if you stop press action before separe stylus..
Alberto Velázquez (dcvertice) added a comment to T53553: Lose wacom presure when use two windows..
After some test I can't reproduce with one monitor in macOS, so probably is only a problem in windows systems. I have never tried two monitors/windows in linux or macOS. But I can confirm this in Windows 7 64bits in a lot of machines and configurations. Alberto Velázquez (dcvertice) created T53553: Lose wacom presure when use two windows..
Alberto Velázquez (dcvertice) added a comment to D2530: Implementation of UV unwrapping with SLIM as disdussed on T48036..
Any news about this patch? the build works well, only have some crashes, but appear stable. Alberto Velázquez (dcvertice) added a comment to T53145: Bevel Problem. All the tools have the same initial value, zero, It doesn't have memory. Alberto Velázquez (dcvertice) awarded D2864: Sculpt pressure curvemapping a Love token. I can confirm that the tool have change the behaviour but still having issues. Alberto Velázquez (dcvertice) added a comment to T53047: Tool System Proposal. This idea is really great first step to create some complex tools like topology tools, addons and similar. Tools that need a specific space and hotkeys to be used. 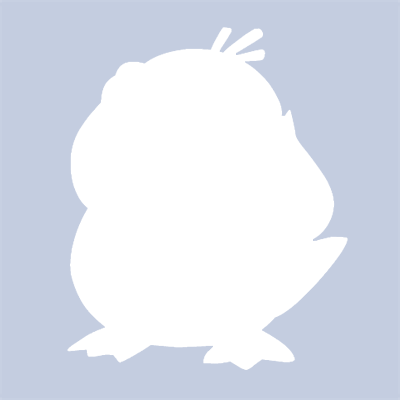 Alberto Velázquez (dcvertice) added a comment to T53330: Problema. The user tell that X, Y, Z direction annoys him, and consider it a failure/bug. Ask to change this to make similar to the rest of software (don't tell any program). Alberto Velázquez (dcvertice) added a comment to D2803: Cycles: add bevel shader, for raytrace based rounded edges..
Alberto Velázquez (dcvertice) awarded D2803: Cycles: add bevel shader, for raytrace based rounded edges. a 100 token. Alberto Velázquez (dcvertice) added a comment to T52668: Proposal: Replace background images with Image Empties in 2.8x. Alberto Velázquez (dcvertice) added a comment to T52748: path select fails in select the short path.. The edge path select error that make triangles still happening. Alberto Velázquez (dcvertice) created T52748: path select fails in select the short path..
imho the actual system works well, and have some features really usefull and have few problems. The images are linked to one view (right, front,...) and don't show in perspective view, also you can use movies. You can have different references for each view and you don't have objects in scene bothering to the pipeline (You don't need to check if you have extra objects in the scene when export). Alberto Velázquez (dcvertice) created T52670: Particles in grid emission don't use normal of the object. Alberto Velázquez (dcvertice) added a comment to T48864: Incorrect shape for multires in sculpt. really? Sometimes is boring when you see the devs don't implement a usefull feature. You have a impressive sculpt system inside a 3D modeling suite and you waste all your work and send it to the garbage because you don't finish the work and make the tool inusable for real work enviroment. Alberto Velázquez (dcvertice) created T48864: Incorrect shape for multires in sculpt. Alberto Velázquez (dcvertice) added a comment to T43366: Collada export -> import materials don't work. @Saurabh Wankhade (sauraedron) I suppose that, anyway I want test it and tell the results if this wasn't be the case. I have tested the test files with the actual version, 2.73a, and the last in the builder blender-2.73-1dddcfb-OSX-10.6-x86_64.zip. And in all the version I only obtain two textures, not three. Alberto Velázquez (dcvertice) added a comment to T43342: bad viewport rendering normal map. I have tried the same problem in other three macbooks pro mid 2014 with NVIDIA graphics and have the same problem. I will try to explain a few more the bug. In the collada the problem is that all the maps disapear from the list of textures and the specular are duplicated, and the material are bad imported, not of the viewport. The importer doesn't import the files properly. Please, instead of tried the file in Linux like the other bug and tell me "update your graphics drivers" search a few in the web and you will see, and you will LEARN, that in OSX you cannot update the drivers. Alberto Velázquez (dcvertice) created T43366: Collada export -> import materials don't work. New info. The problem is only present in the discrete graphic card. Alberto Velázquez (dcvertice) created T43342: bad viewport rendering normal map. Alberto Velázquez (dcvertice) created T43339: mesh with normal map corrupted in OSX with VBOs off.